Watch Olaf melt in front of your eyes! This fun kit includes reusable melting putty and plastic accessories that bring everyone's favorite snowman to life. 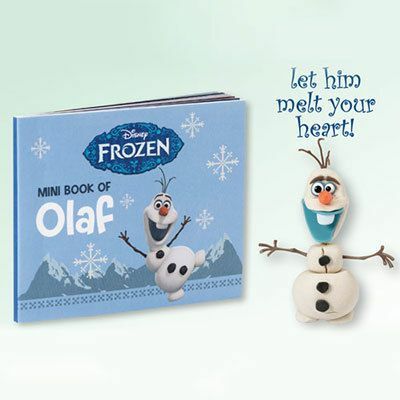 32 page mini-book includes the best Olaf moments from the beloved animated film. Ages 6 and up. Hurry! Quantities are limited!